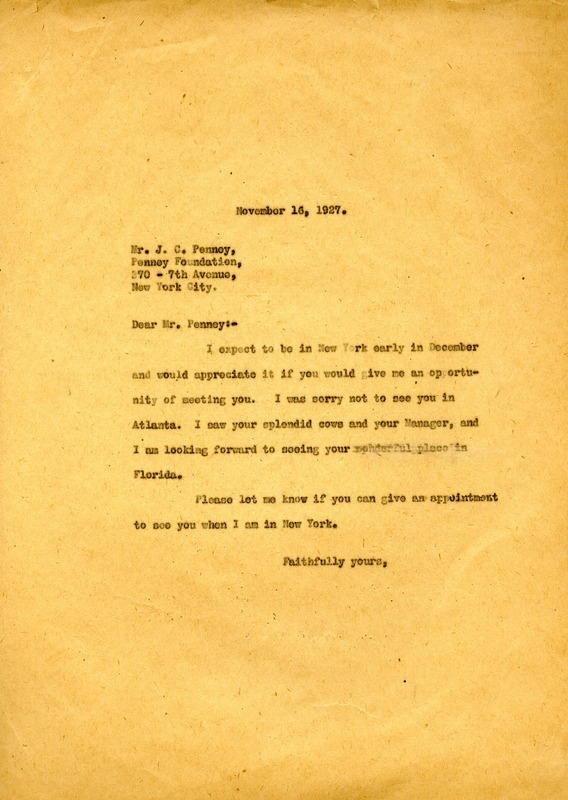 In this letter Martha Berry asks to see Mr. Penney in December when she is in New York. She also says that she is looking to see his place in Florida. Martha Berry, “Letter to J. C. Penney from Martha Berry.” Martha Berry Digital Archive. Eds. Schlitz, Stephanie A., Meg Ratliff, Jordan Brannen, et al. Mount Berry: Berry College, 2012. accessed April 24, 2019, https://mbda.berry.edu/items/show/5345.